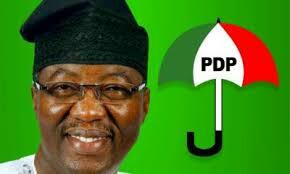 PDP Chairmanship Race: OGD Camp Reacts To Document Endorsing 3 Aspirants. ‘ Our attention has been drawn to a document endorsing 3 Aspirants for the PDP National Chairmanship race, without OGD, purportedly signed by Chief Oyedokun on behalf of the SW caucus of the BOT of our Party ahead of the Dec 9 National convention. Our teaming Supporters should kindly disregard such documents which can best be described as the personal opinion of the Writer and it’s clearly not well thought out, if at all such a document is authenticated. Smarting from a disastrous electorial outing in the last two and a half years, our party is just recovering from acts of impunity and unilateral actions like this and never again do we pray for such as we move on to repackage the Party. For the avoidance of doubt, Otunba Gbenga Daniel is currently on a Nationwide tour of all the 36 states chapters of our Party consulting with Leaders and potential delegates, preaching the gospel of internal democracy and retuning the Party to the people at the grassroots. He is currently in Kano having earlier visited Sokoto, Zamfara, Katsina, Jigawa and Kano this week. He remains firmly in the race and he is probably the aspirant to beat in this race. Our supporters nationwide are therefore asked to kindly ignore documents like this, as we endevour to rebuild and put our democratic practice on sound footing once again ‘. Buhari Led Administration Set To Destroy Tinubu’s Political Future, Empire. Must Read.